Brooke and Steven!!!! The new Mr. & Mrs. Galiszewski! 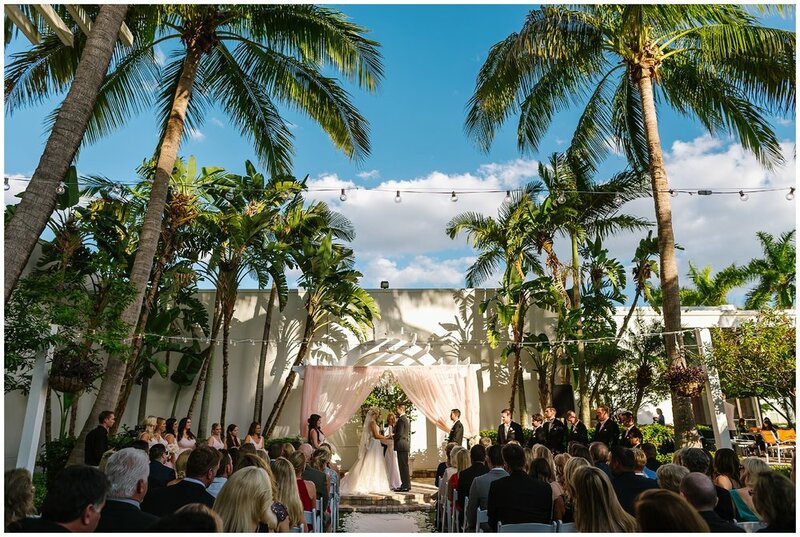 Their wedding day in Sarasota was amazing! Everything was so gorgeous and so FUN! Brooke may look like a poised Grace Kelly on the outside but inside she is the most lovable goofball! She keeps Steven gaining from ear to ear. 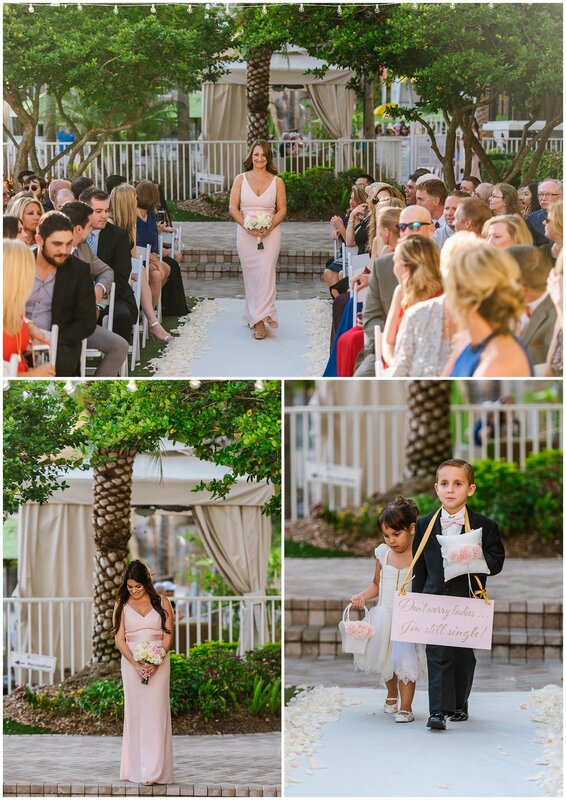 Even when he first saw her coming down the aisle, all he could do was beam! 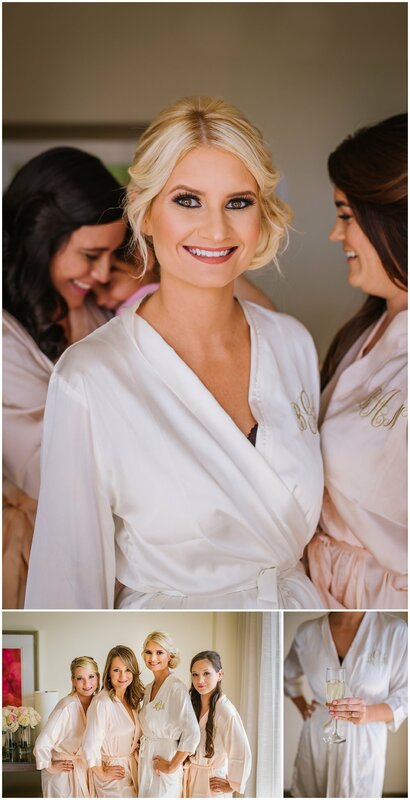 We started off the day in the sun soaked bridal suite with all of Brooke’s brides babes! We all couldn’t stop gushing over just how stunning she looked. And the mom’s were losing it left and right! I mean that dress! Her hair style, the shoes, her smile! And the excited sparkle in her eyes…It was a dream. I knew she couldn’t wait to see her handsome groom and dance the night away! Over in the groom’s suite is was all football and flasks! The dudes were happily hanging out in the suits ready for me to capture the final touches. I decided to take them outside and in front of the hotel for their portraits because there was the most perfect ivy covered wall! We had scouted the perfect spot for their engagement session in South Tampa last fall and one of my favorite spots was full of ivy too, check it out here. Needless to say they nailed it and it was time for I Do’s! They got exactly what they dreamed of in the courtyard! Hanging market lights, a chandelier, palms, and the perfect blush fluff! My favorite part of the ceremony was the adorable reactions to putting their rings on! They both had the cutest reactions! Pure joy! After the perfect kiss they snuck off for a champagne toast before the most beautiful sunset over the marina. THEIR SUNSET PORTRAITS!!! AHHHHHHH!!! So hot!!! That is all. The reception got off to a fun start with lots and lots of toasts from their nearest and dearest…oh and a lot of WOOO’S! ;) Their ballroom was awash with blush blush blush! FH Weddings created a beautiful room with lovely gold details and candle light. And can we talk about the cake and macaroons?! Hands on Sweets!!! They are my fav fav fav favorite!! If you could have only smelled it! You would swoon!